AVH Invest offers customized transition planning with experience, transparency and integrity. When you request a complimentary consultation, you will meet one-on-one with an experienced financial advisor to discuss your specific needs. Together we go through our L.E.A.D. planning process and develop a strategy taking into account your resources, goals, time-horizon and tolerance for risk. 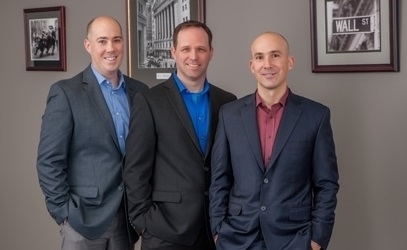 With over 50 years of combined experience, we have helped clients navigate many types of market conditions. There is a good chance we have seen a situation like yours and can draw from our experiences to help you reach your goals. We believe in fully disclosing all fees and cost associated with your accounts before engaging in a working relationship. We also fully disclose what type of service you can expect, how often you will hear from us and the best ways to reach us for service on your accounts. We always put your best interest first and adhere to the fiduciary standard. Satisfying each of our client's primary financial planning needs is our top priority.